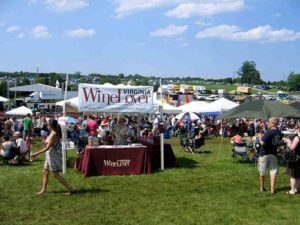 The Virginia Wine Festival has become a grand Commonwealth tradition, highly regarded as one of the premier wine events on the Atlantic Seaboard. It has annually been the largest wine festival on the East Coast. The festival features many of Virginia’s award winning wineries. In addition, the best in regional arts and crafts along with top-rated entertainment and special children’s programs have made it the perfect wine event to celebrate tastings of the Commonwealth’s finest wines. The Festival is held on the scheduled days, rain or shine. In case of inclement weather, tent coverage provides protection from the elements. 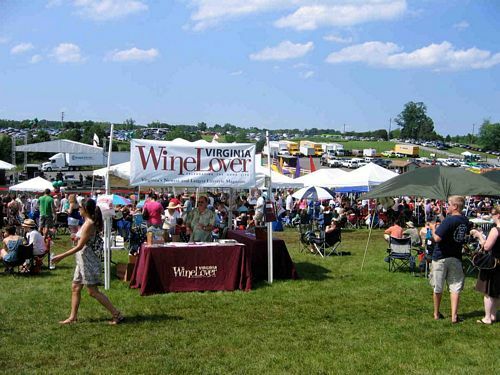 The Virginia Wine Festival is a trademarked name by the Atlantic Seaboard Wine Association.